Here in South Florida, the days and nights are HOT. Combat the heat with our full line of gel-infused memory foam mattresses. Compare our prices with the national brands. We use BETTER foam, BETTER NON-TOXIC adhesive, use STEEL foundations, and our mattresses are hand made. Queen Sets starting at $799.00 including free local delivery! 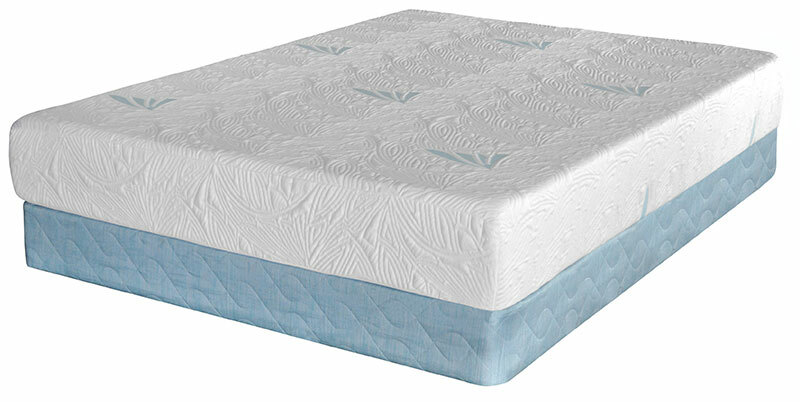 Compare to a similar mattress set made by one of the "BIG S's" at $1,399.00. All our foam products are made of a soy blend. Not only is this better for the environment, but the proprietary blend yields a stronger, longer lasting product. You're uncomfortable with the mattress on your boat or RV. Let us manufacture one of our gel mattresses to fit your custom size and shape! Here are some examples of custom gel mattresses from our factory and in place on boat and Rv bunks.